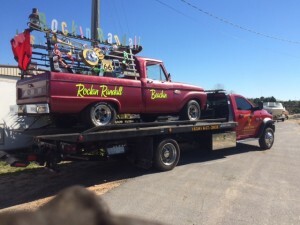 Coastal Towing And Roadside Service, INC.
Coastal Towing & Roadside Service, INC.
Coastal Towing is Mexico Beach and Port St. Joe’s most reliable towing and roadside service. We offer emergency service 24 hours per day, 7 days per week. We specialize in towing, jump starts, lockout service, winch-outs and roadside tire changes. We also offer a variety of other services, including long distance towing and tow-away services for property owners. For many years, Coastal Towing has been working to serve the people of Gulf County with friendliness and professionalism. We pride ourselves on fast arrival times and treating every customer like family. Not sure on what do with your vehicle? Give Coastal Towing a call and we will happily give you expert advice on your best plan of action. We understand that you can experience a problem with your vehicle at any time. That’s why at Coastal Towing we are always here for you: Day or night, rain or shine. Our trucks are fully insured and we carry garage liability. We are contracted with most roadside companies. Give us a call and will walk you through the steps. 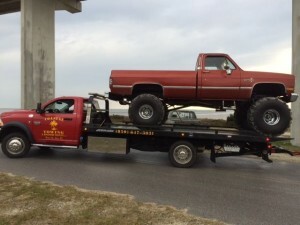 Coastal Towing And Roadside Service, INC was founded it 2005 by Kip Askew. Kip has been around wreckers and tow trucks his entire life. We are here for all of your roadside service needs, just give us a call and we will be on our way!